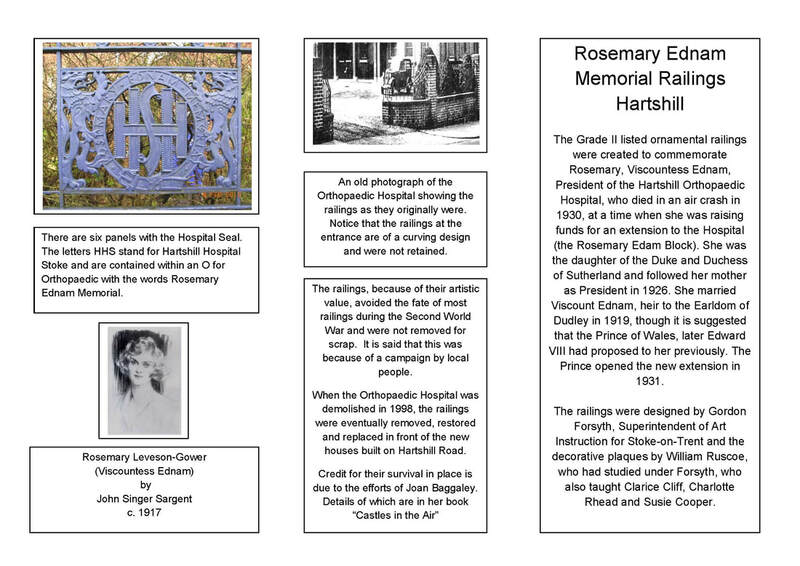 Here is a leaflet which gives a description of the memorial plaques of which there are twelve, seven show the Orthopaedic Hospital seal, there are one each of a griffin, a mythical beast with the body of a lion and head and wings of an eagle, two girls skipping; two girls bowling hoops; three boys running and four boys in a swimming pool, all showing healthy activities which might be the goal of those treated for their disabilities. 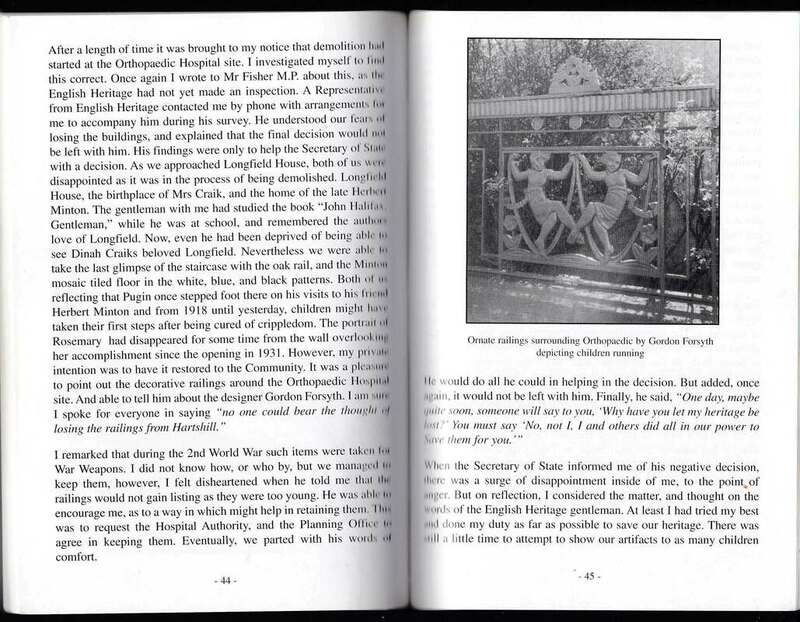 The photographs were taken before the repainting. 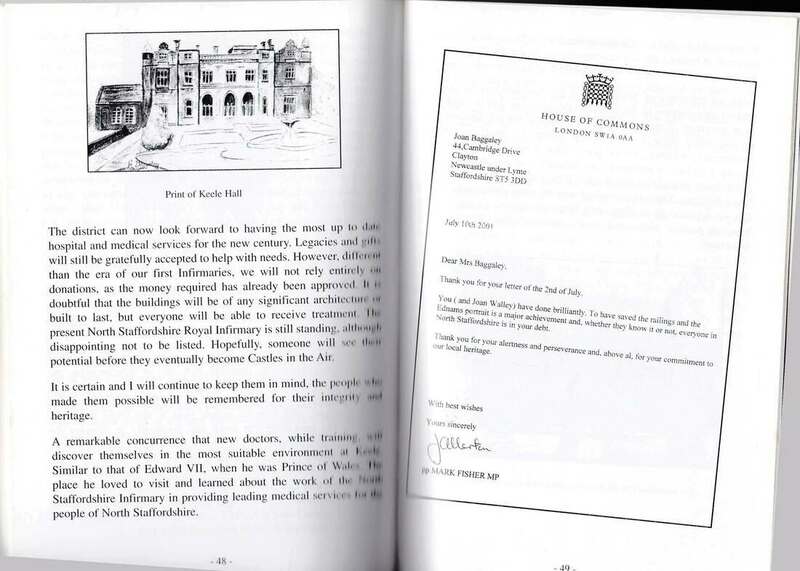 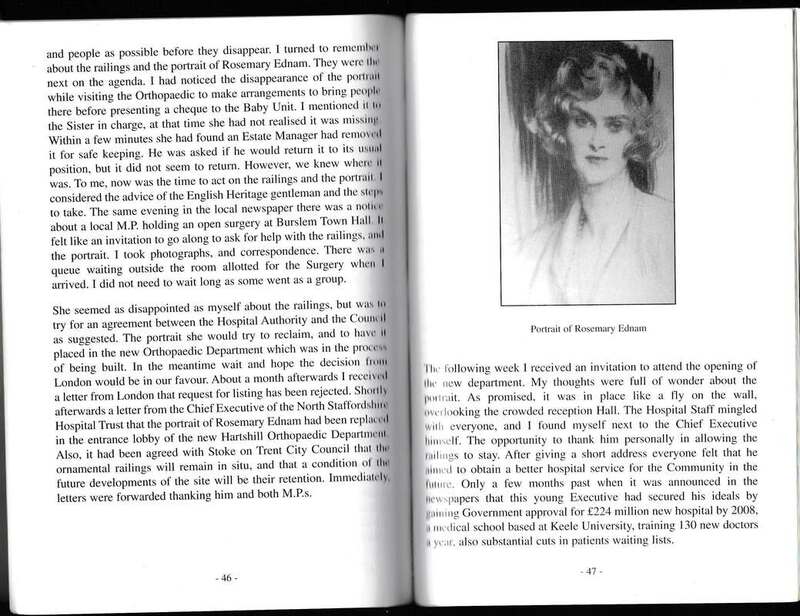 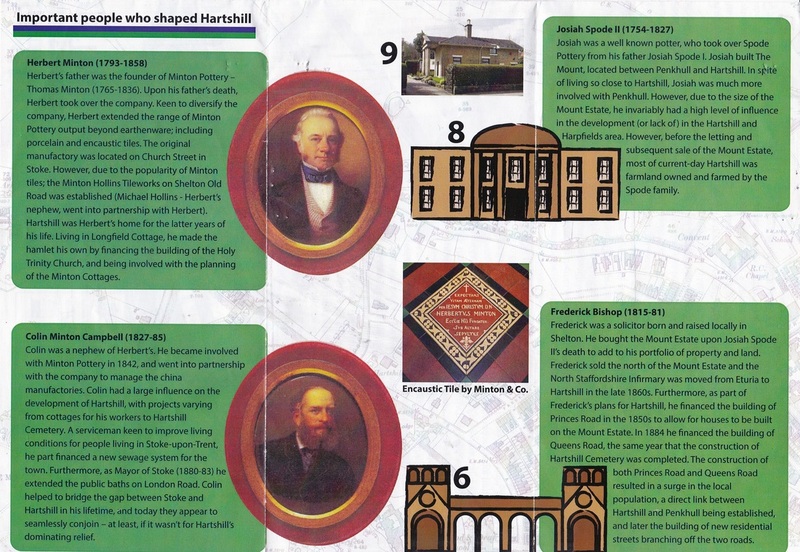 Here are extracts from Joan Baggaley's book "Castles in the Air"
To increase interest in the heritage of Hartshill and the buildings in the Conservation Area and beyond the Association was involved in the production of the Hartshill Heritage Trail leaflet, which was researched and created by Jordan White, a student at Staffordshire University, with the help of Janet Wright, a member of the Residents' Committee and Geography subject leader at the University, together with Rosie Duncan, the University cartographer. 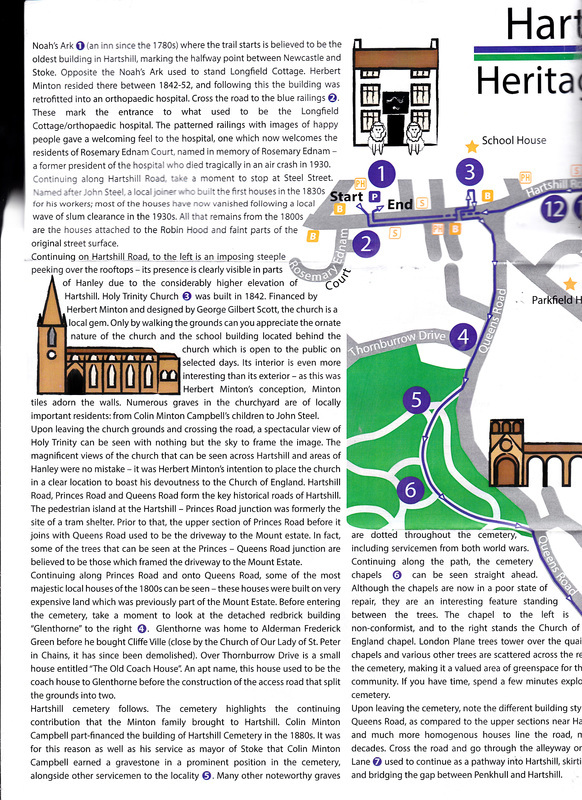 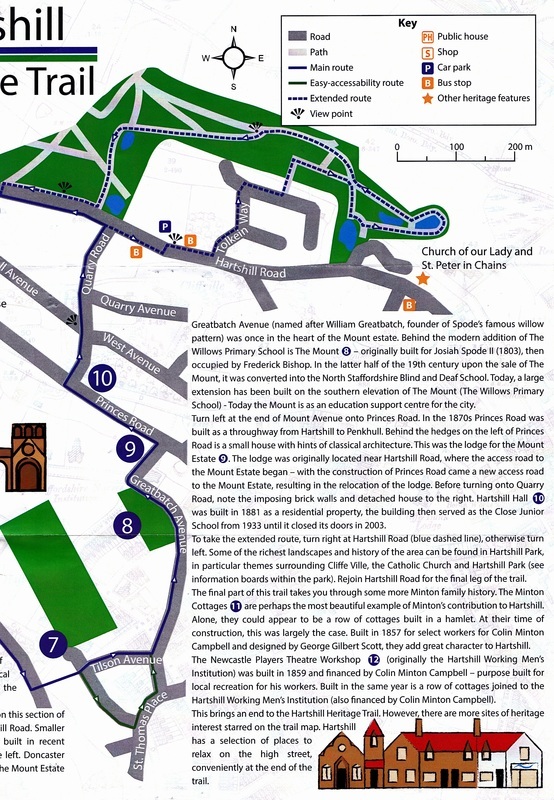 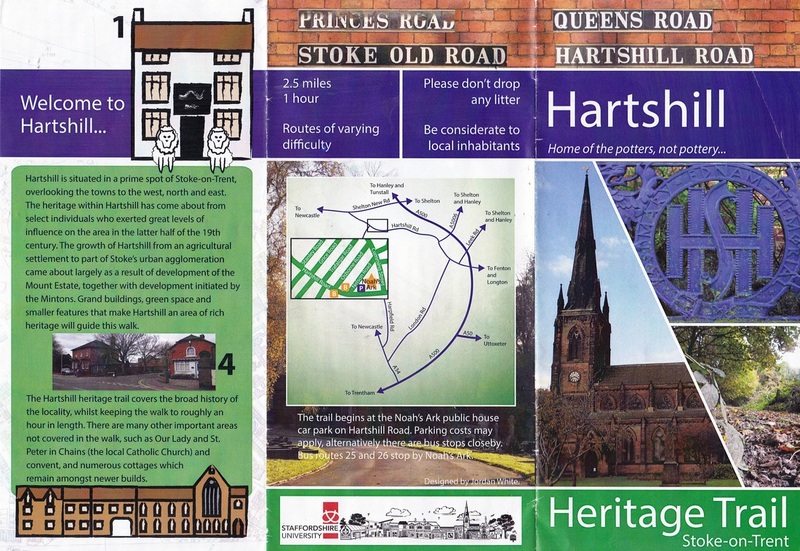 The Hartshill Heritage Trail was launched with an address by Dr Tristram Hunt, Historian and MP for Stoke-on-Trent Central on 18 May 2013.